While we love celebrating album cover art here at Vinyl Connection, it’s worth remembering that those sleeves contain records (or, ahem, CDs). So for this first edition of (yet another) occasional feature called “Listener’s Digest” I have chosen four albums that appeared in Album Cover posts over recent months. Variety being the ear-spice of musical life, we have one album from each of the 60s, 70s, 80s and 90s. Plus four diverse genres: Electronic, Progressive, Singer-songwriter, and Alt Pop. Something for everyone, with any luck. 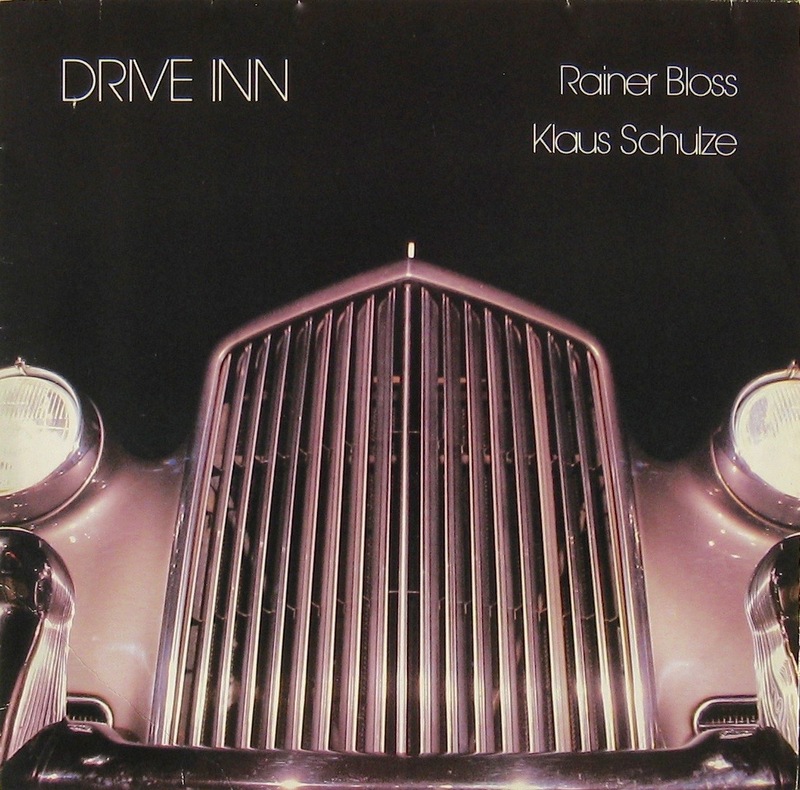 A collaboration between legendary synthesiser wiz Klaus Schulze and Rainer Bloss, Drive Inn sounds very much of its time — mid-80s sequencers providing a bright palette of synthesised sounds. Bloss had recently toured with Schulze, appearing on the latter’s 1983 Dziekuje Poland double live album; clearly the collaboration was a positive experience for both musicians. Side one has four shorter pieces that motor along – nothing really zooms, nothing crashes. Opening piece “Drive Inn” sets off at a smart clip, cruising through the suburbs until – with a burst of Fairlight orchestral flashes – it warps into the distance. “Sightseeing” has those twittering flutey calliope voices that scream “New Age”, though this is undercut by the vigorous percussion. Fairly tedious, though. “Truckin’” is not the Grateful Dead live staple, but a brooding piece that strongly evokes the contemporaneous film music of Tangerine Dream. Creepy synthesised strings make this my favourite track on the album. Side two shows more variation, though still travelling comfortably along a pre-planned route. 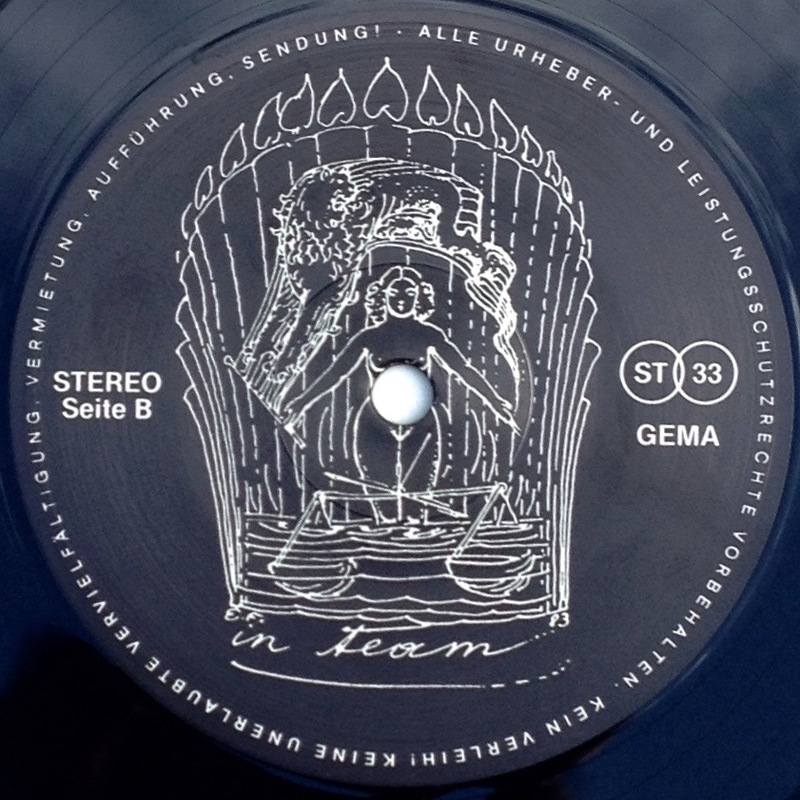 First up is “Racing”, unsurprisingly a fast-paced, percussion heavy ride with odd strangled vocalising that, frankly, sounds more like someone experiencing gastro-intestinal pain than anything automotive. At just over 11 minutes, “Road Clear” is the centrepiece of the album and quite satisfying. Several melodic threads weave in and out of the traffic, changing lanes now and then – but never dangerously. Rather like and updated “Autobahn” but without the wit and retro-wink of the Kraftwerk classic. Sign-posting the destination is “Drive out”, a mid-sized van of a piece rolling down the highway towards the final truck stop. Bloss went on the make two further volumes in the Drive Inn series; I don’t feel a pressing need to take those trips. But this one is fine. Why is it here? Its’ cover provided the feature image for the initial ‘Car Covers’ post. I have to confess that I am not a big Barclay James Harvest fan. If you are, best to skip the next couple of paragraphs to the other James. At various times I’ve owned (and listened to) a dozen BJH albums but rarely have I been excited. Even the earlier stuff has less interest than you’d expect from a band who first released their ‘progressive’ music in 1970. 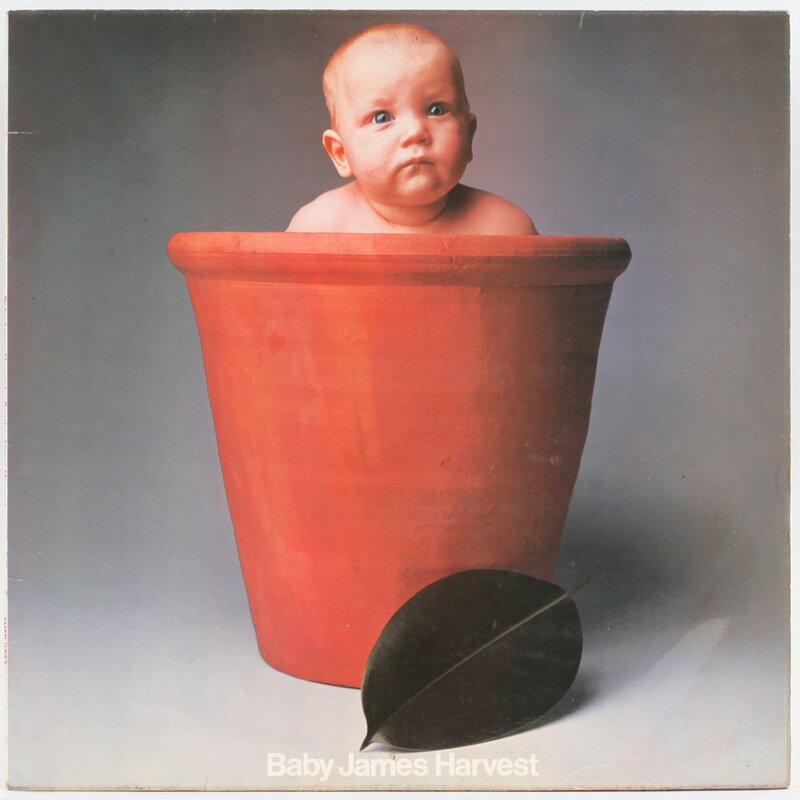 Baby James Harvest is their fourth album, from 1972. Four long-players in two years. That might just tell you all you need to know. Frankly, I bought this for the album sleeve, having been searching not-very-hard for a decent baby cover to use in a long-planned Birth to Death album cover project. The project realised, I thought I’d better give the LP a spin. Sadly I cannot report a bountiful harvest of interest. It’s all so nice, so safe, so late-70s Moody Blues. Only one song stood out in two attentive listens: “Summer soldier” is an interesting arrangement with some well-assembled sound effects contributed by the producer, Peter Tattersall. Purveyors of pastoral chamber-prog, rife with surging rock energy, boasting a unique mellotron-driven sound. Long-haul perpetrators of somnolent prog-lite, sweetening pedestrian songs with stings-by-numbers mellotron while grinding out a vast catalogue of predictable, anodyne MOR rock. James Taylor having provided the backbone of the 9 Lives cover story, it seems only fair to visit one of his albums. Young James was amongst the initial wave of singer-songwriters. His first, self-titled album was released in December 1968, nine months after Joni Mitchell’s Song To A Seagull and a month after the first solo release by Neil Young. 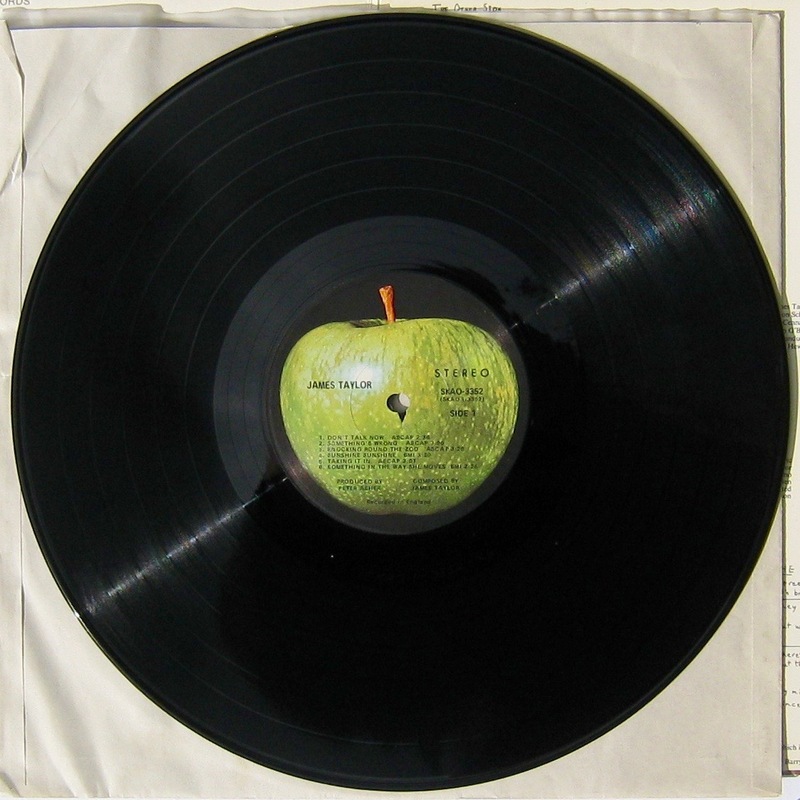 That it was recorded in London and released on the Beatles’ Apple label adds groovy historical context to what is a very strong debut. 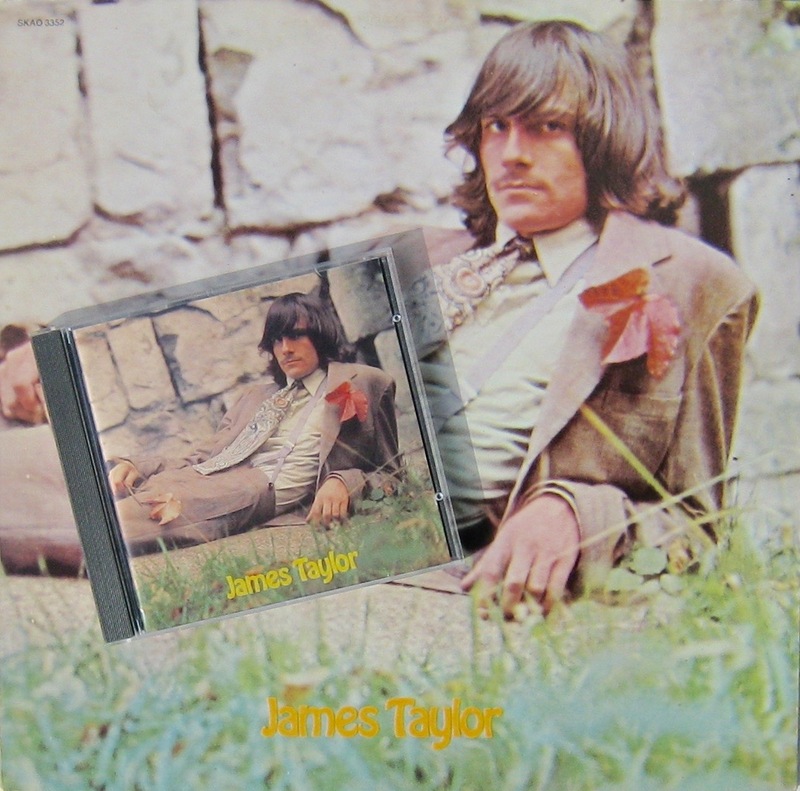 Produced by Peter Asher, James Taylor consists of an interconnected suite of a dozen acoustic songs, some enriched by subtle strings and linked by sweet little instrumental interludes. From the opening ‘Don’t talk now’ where the simple, catchy tune is accompanied by bluesy harpsichord (true! ), if you let yourself be drawn into this beguiling land of whimsical observations and puzzling relationships you will emerge at the end with a quiet, satisfied smile on your face. It all fits together so well it is not especially helpful to trawl through the songs — either you enter this gentle chamber pop kingdom or not — but let me highlight a couple of favourites. Taylor’s song relating his time in a psychiatric institution, ‘Knocking ‘round the zoo’, is both self-aware and angry. It’s the hurt in that final line that adds depth. Shadows and light. Welcome to the cloudy sunny world of James Taylor, terrific in 1968, still going strong in 2015. The Mutton Birds were a 90s New Zealand band based around the song-writing prowess of Dan McGlashan. Rain, steam & Speed was their final studio album, released in 1999 and chock full of songs that might have been written by a less satisfied Neil Finn, sung in a voice like an antipodean Joe Pernice. But there is a consistent self-mocking humour that prevents McGlashan’s songs descending into bathos. In ‘Goodbye drug’ he takes a recent ex- to the airport. The wonderful cover photo is credited as “Airborne biker, 1940” by Hulton Getty and appeared in the post 10 MORE MOTORISED ALBUM COVERS. 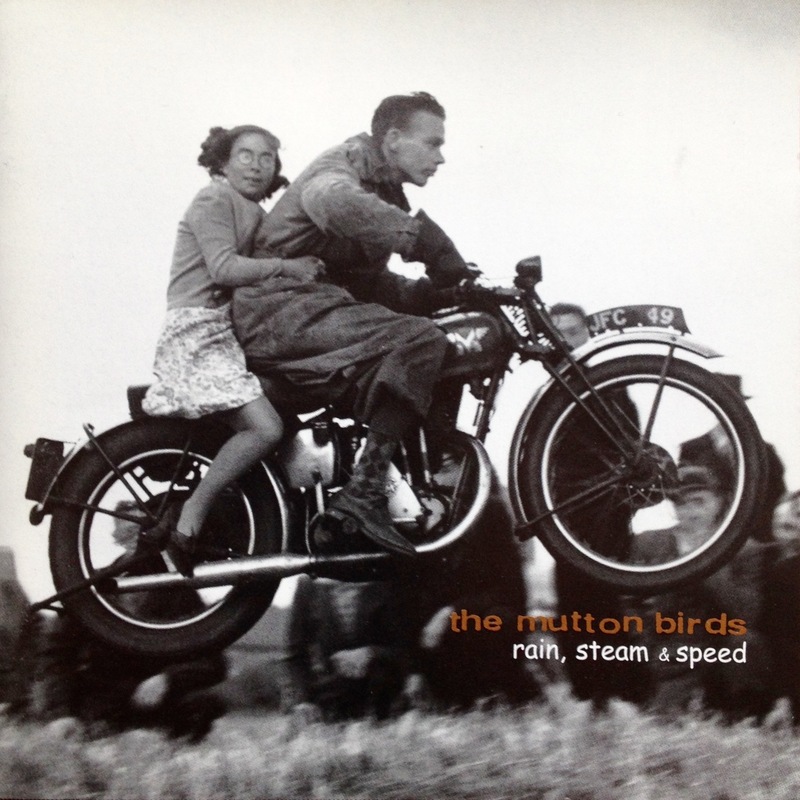 If you don’t know New Zealand alt-pop, check out The Mutton Birds. I recommend starting with the marvellous Envy of Angels. Tell me this cover doesn’t earn bonus points for style. Go on, I dare you. I will not take that dare Bruce, how could you not award bonus points! Strange seeing that Apple logo without the artist name of the beatles over top. The new series is a winner, as are the weighted category scores! Cheers Geoff. Glad you enjoyed it. I was drawn to the idea of a digest after reading one of HMO’s posts. There is something about that green label/logo, isn’t there? Works a kind of magic. Oh, Bruce, must you remind me?! At the last Box Hill fair, I came across that Schulze/Bloss album for $20, ummed and ahhed about it, then put it back. Five minutes later I thought, “I really should just give it a shot” so I went back, and it was gone! Sigh…the old `You snooze, you lose’ situation! Ah, a sad Record Fair story, Michael. But in this instance, perhaps the loss is not major. This album is more mortar than brick, if you know what I mean. 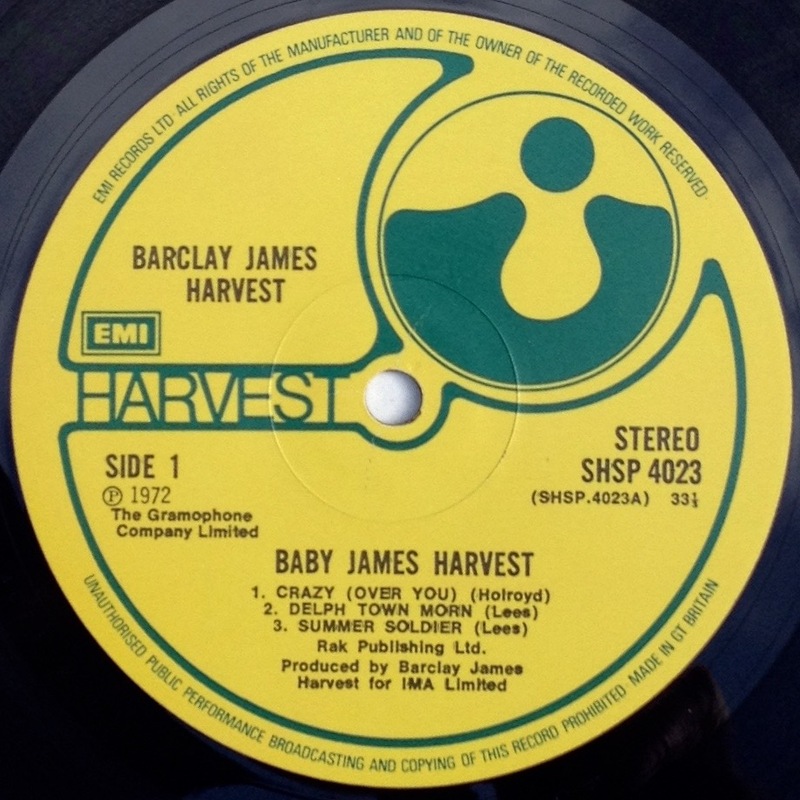 Meant to ask: Barclay James Harvest – Are you a fan? Glad you enjoyed it Danica. It’s easy to forget that JT was a significant artist in the birth of the West Coast singer-songwriter scene. Excellent post, Bruce (top marks for the format, too). Not aware of the others, but I’m very familiar with the James Taylor album. Not on LP, though … haven’t spotted a copy during my digs. But yeah, given the humdrum he put out a bit later, it’s real easy to forget his place at the beginning of the whole singer-songwriter scene. … a nice reminder that for a while he really did put out a bunch of albums I still enjoy a whole lot. Ya can’t beat a well-crafted song, eh? I suppose you could have used a copy of Nevermind instead of the BJH for your 9 lives cover story and saved yourself the somnolent slog… but what fun would that be? If the tyke would’ve been asleep the cover could have been an Anne Geddes image. I really enjoy your posts, thanks. Ha! Even though I once posted on Nevermind, I didn’t think of it as a baby pic. But I did get to slag off an album/artist – a rare indulgence! And you are so right. Tuck a flower into the pot next to the tyke and voila! Anne Geddes. I will try to listen to the intriguing (to me) ‘Rain, steam & Speed’ soon (but working this w/end). Also a good reminder of James Taylor’s charm. Thanks. Pleasure, DD. Charming is quite a good word for JT’s debut. Let me know what you make of Mutton Birds (try Envy of Angels too). Cheers. Of these I only ever owned James Taylor records: Mud Slide and Sweet Baby James. There is often a melancholy feel to Taylor’s music and lyrics and I suspect this ”inspiration”’, if this is the right word, derived from his drug addiction. *Shrugs* Who knows? But Mud Slide is still one of my favorite albums and certainly of this genre the album. 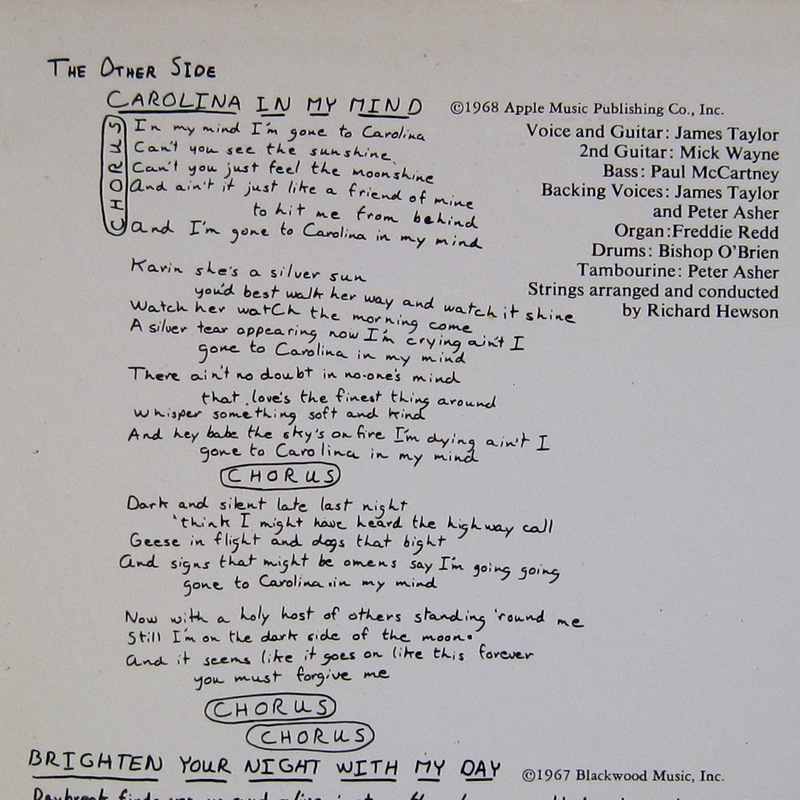 To my mind it (still) stands head and shoulders above most contemporaries – Dylan being an exception ( in some cases). Like this new feature, Bruce! Like others who’ve posted, I’ve only owned stuff by JT, on LP, CD and–gasp!–45! And I have to say that, for the second time, I’m completely gobsmacked by that Mutton Birds cover pic…riveting. The cover of Drive Inn wins for me hands-down. I’ve never heard a note of BJH, but I agree with your every word there – I can just tell how right you are. The pen is mightier than the mellotron! Share your Barclay James Harvest views almost entirely. “Almost” entirely only as a caveat because I have been of late on a late-60s/EARLY 70s Moody Blues kick and enjoying it. Haven’t delved much into the late 70s MBs beyond a few singles, and so am a bit preemptively distraught at the comparison, but hoping that the change in MB music was significant enough as the decade progressed to explain away the concern. My only James Taylor knowledge is the JT/”Handy Man” era which took our household by storm as someone gifted a cassette to my then mid-30s mother who played it incessantly. Have considered buying that one out of nostalgia, but thinking I should also look back to earlier output based on this and other enthusiastic references/reviews. I hope I might ease your Moody mind a little, V. I am a big fan of EARLY Moodies – up to 1971’s ‘Every Good Boy Deserves Favour’. They were innovative, creative, and at the forefront of synth usage. After that it falls off quite rapidly (for me) into bland ballad-soaked mush. But omitting the first blues-based 60s disc (with Denny Laine), those first six albums – 6! – are absolutely worthwhile despite a tendency to slip into schmaltz now and then. As for the JT, it is very sweet. Fine for when you are in that sort of mood. I love Envy of Angels, but never got into Rain, Steam, and Speed beyond Pulled Along By Love.